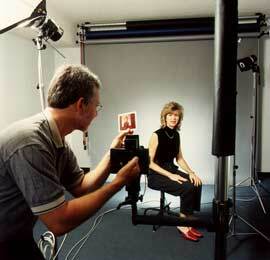 Digital technology has revolutionized photography and offers many advantages. It saves the cost of film or slide processing, makes it a snap to e-mail images to friends and family, and gives instant feedback so you can retake a shot that didn't turn out right. dpi, a leader in color and black-and-white photography in Wichita for more than 30 years, has embraced advances in digital processing and continues to expand their offerings for the digital photographer. The technology offered by digital printers, coupled with the expertise of the dpi professionals, provides the highest quality enlargements from your digital files. Clients who want truly superior quality prints have been taking their digital photos to dpi for over a decade. dpi can take those images and print them in a variety of sizes including wallets, all in a single process. At douglas photographic imaging we have the capability to print digital images in-house up to 30" wide (by whatever length you may need or want). Your prints can be made on Lustre, Glossy, Metallic or Transparency (for back-lit displays) material. Digital photographers don't even have to leave home to start the printing process. Day or night, they can use our Online Order form to upload digital images for printing. Or email their photos to us along with instructions on the size of prints they want and if they want lustre, glossy or metallic paper. For big orders we offer an FTP site to upload files in larger batches (request FTP Instructions). Often, the photos can be ready for pick up the following business day. dpi accepts all media formats, including CDs, DVDs, memory cards (Compact Flash, XD, SD, Smart Media, etc. ), portable USB storage devices and diskettes. dpi has also implemented Data Rescue Services. With our Data Rescue Services, we can save many images that customers may have lost access to on their digital media.